Yet again I’ve neglected the blog, but here’s my attempt at revival. I’ve been meaning to write this post for a while since I use this particular app on a regular basis. So here it goes..
My favorite running app, hands down, is RunKeeper. I absolutely love it. The interface is super straightforward and easy to use. I also love the auto-emails and alerts they send me whenever I accomplish something, or even when I’ve been slacking. I’ve stopped running with my iPhone recently, and therefore haven’t been using the mobile app. However, the online tool is also great. I just plot all of my running courses and plug in my start/stop times and it calculates my average pace, speed, calories burned and total feet climbed. Overall, I can’t say enough about this app. It’s the first thing I recommend to friends who are starting to pick up running! Lastly, I just had to share my most recent run. 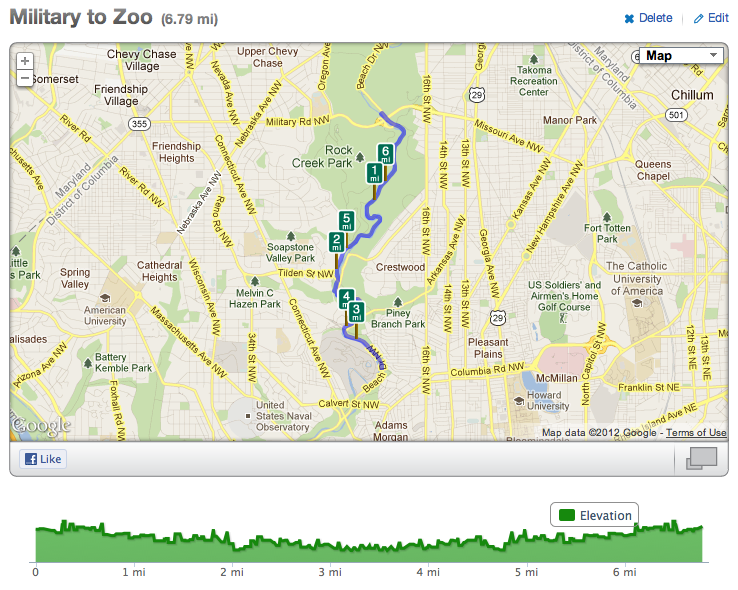 This was the longest distance I’ve run in DC. The weather was perfect and the run was great. And it’s a Boston based company! !